Due to significant road damage on Hwy 243 (from Banning) & 74 (from Hemet) from the flood on 2/14, We will have limited hours during the months of spring until roads are restored. There are currently 2 routes up the hill: 74 through palm desert and 371 to 74 through Anza. It’s a gorgeous time of the year in Idyllwild! Come visit us, it’s worth the drive! The Plant Food Supper Club is the first of its kind in the beautiful Southern California mountain town of Idyllwild, CA. Established in 2016, and now at our new full-service location, PFSC offers delicious organic vegan cuisine, organic wines & craft beers, fresh juices & smoothies, health-promoting shots and tonics, as well as local artisanal snacks. Our casual gourmet ahimsa food appeals to plant eaters and meat eaters alike! We are located in the center of town complete with a gorgeous outdoor deck as well as a full-service staff and live entertainment Thursday - Saturday nights. Come mingle with an eclectic group of visitors and locals while taking in the majestic pine landscapes of our gorgeous hill. .
Seasoned Tofu, Soyrizo, Tomatoes, Onion, Spinach, Potatoes, Black Beans, Avocado & Chipotle Mayo in a Whole Wheat Tortilla, Served with Dressed Side of Greens and Fresh Salsa. House Made & served on Sprouted Grain Bun with Cashew Tzatziki, Majestic Hummus, Shaved Red Onion, Avocado, Romaine. Choice of Side. Seasoned Grilled Tempeh, Raw Probiotic Sauerkraut, Avocado, House-Made Probiotic Mustard, Majestic Garlic Sauce and Romaine on Sprouted Rye Bread. Choice of Side. Follow Your Heart Vegan Provolone Cheese with Caramelized Onion, Arugula, Balsamic Reduction and Majestic Garlic Sauce, Served on Sprouted Grain Bread with Choice of Side. Brown Rice Topped with Seasoned Grilled Tempeh, Carrots, Massaged Kale, Cucumber, Raw Probiotic Sauerkraut, Avocado & Sesame Miso Dressing. Topped with Sesame Seeds. Blood Cleansing, Rich In Vitamins & Minerals - 1oz. or 2oz. Idyllwild is a town with a rich culture in music & arts. 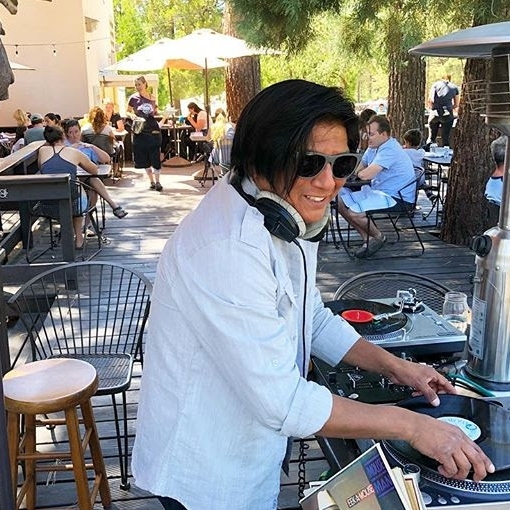 PFSC is proud to carry on the tradition of regular live entertainment from exceptionally talented musicians Thursday through Saturday nights during dinner service 6-9pm, as well as Sunday Brunch DJ sets from 12-3pm . Coming Back in Spring 2019! Call (951) 468–0070 from 9a – 5p daily, or book online with Yelp Reservations. Reservations required for parties of 6 or more, but recommended for any size group for dinner.